They were Awesome to work with!! I was concerned I wouldn't qualify for anything, and I was amazed at the magic they performed for me! The entire process only took a couple of hours, and I drove off in a miracle! Such a wonderful experience! The people were amazing! Enjoyed the experience and people as well as buying a new car and all the great deals they had to offer!! It was a great experience and so hassle free! Gilligan n Bobby so awesome! They deserve a million gold stars!!! Thanks again! If your in Chickasha, OK go by and see the guys, they will HOOK ya up!!!! We have a large family and needed a vehicle that seated 8. Gilligan had us approved and in our new vehicle within two days! It was the easiest car buying experience ever! I’m completely sold and don’t ever plan to go to anyone else! Very nice and upfront! I cannot rave enough about the wonderful service my husband and I received here. We went in yesterday around noon to try to get a bigger vehicle for our growing family. We drove our new Dodge Journey home at 7. The entire approval procsss was quick and easy. Eric and Bryan were wonderful and great to work with. We would highly recommend this place if you are in need of a vehicle. All of the staff were very customer friendly and ready to assist me through the process of buying the car I wanted. From the moment I walked In, they were very thorough and concise in their explanation of how everything was going to work. 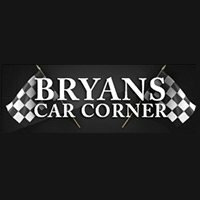 I definitely Would recommend Bryan’s Car Corner for any looking for a used car. I have never had a better experience with a car dealership! Great people, great service, extremely fast and friendly. I would definately recommend!!!!! Bryan and Tony made our car buying experience so easy! Very friendly, down to earth guys! We would recommend them to everyone in the market for a good car! Byran and Ronnie J did wonders in hooking ya girl up with this nice vehicle. Much props. Ppl you won't be disappointed. Bryan and russell are great to work with. I was looking for a professional and easy lot to get a car with and i found the perfect match with bryans car corner. Thanks guys!! They worked magic for when I needed it the most !! Russell does great work! He gave me a great deal w/ a great vehicle. My key wasn't working good on the passenger side of my truck and they had their locksmith come out and cut me new keys. Now I can lock both doors and my tailgate. Thanks Russell and Butch for helping me and thank you Jason for being an awesome locksmith.